Univar is a global chemical and ingredients distributor and provider of value-added services, partnered with leading suppliers worldwide. Supported by a comprehensive team of sales and technical professionals with deep specialty and market expertise, Univ ar operates hundreds of distribution facilities throughout North America, Western Europe, Asia-Pacific and Latin America. 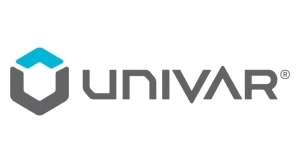 Univar delivers tailored customer solutions through a broad product and services portfolio sustained by one of the most extensive industry distribution networks in the world.